After the tornadoes swept through Joplin, Missouri, our Garver employees found ways to help. Some of our Fayetteville, Arkansas engineers teamed with ENGAGE! and used chainsaws to help clear streets. We also had employees in our North Little Rock, Arkansas office work in their local neighborhoods to gather donations and deliver them to Joplin. 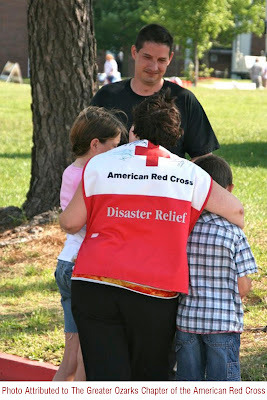 Even if you can't travel to Joplin or Tuscaloosa, Alabama or another disaster area, the American Red Cross provides many ways to help now and in the future. Volunteer Training and Opportunities. Disaster-prepared organizations provide just that: organization. After recently visiting Joplin, Garver employee Mike Morgan has started the application process with his local American Red Cross to receive training and volunteer with future assistance teams. 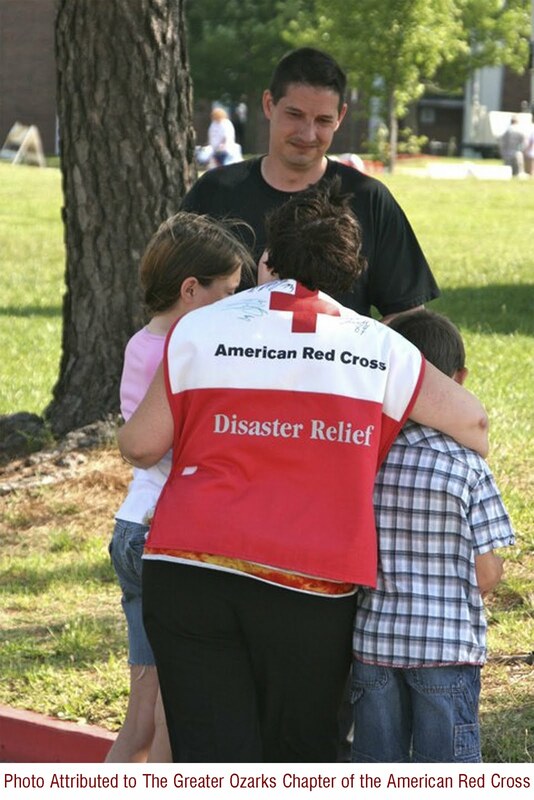 Every year, the Red Cross responds to 70,000 disasters, everything from house fires to tornadoes. Give Blood. I donate blood every couple months, and I just received my "two gallons donated" pin. While there is always a need for blood after a disaster, don't forget about the rest of the year. The American Red Cross reports that every two seconds someone in the United States needs a blood transfusion and 5 million patients need blood every year. Only three percent of the population donates blood, so here's your chance to join an elite group of individuals. One pint can save up to three lives. Financial Donations. One of the best ways to help is by donating money. While supplies are needed and appreciated, many times disaster areas have a difficult time storing clothes, toiletries, and other items until they can be used. It's often easier and faster to donate money that can be used by organizations to meet an area's specific needs.